Round white cards with black table numbers 1 - 12 to identify the number of a table at a wedding or special occasion. 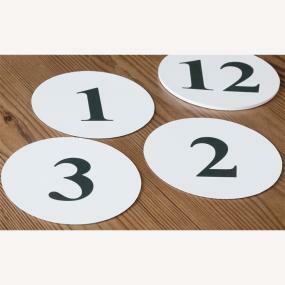 Requires a table number holder for each number. Made of good quality card and printed in black on white card. Diameter of numbers 12.5cm. Holder not included.